Today’s column is a fulfillment of a promise I made to Professor Hope Eghagha, Head of the Department of English, University of Lagos. September 10 was World Suicide Prevention Day and Prof Eghagha used the opportunity to sensitise the public on the problem of the increasing number of suicide cases in Nigeria and how to stem the tide. It is no longer news that suicide is real and very much with us in Nigeria. What looked so foreign many years ago is now localized and getting entrenched. Just like its vicious sibling, suicide bombing, the rate of suicide in Nigeria is increasing. Suicide, by the way, is the act of intentionally causing one’s own death (Wikipedia). No group of people seems to be spared: young, middle-aged and old people commit suicide, rich and poor people commit suicide, educated people and illiterates commit suicide, males and females commit suicide, religious people and non-religious people commit suicide, clergy and lay people commit suicide. What differs is the motive, but just about anybody who allows his/her mind to “bend” or thoughts to run amok can commit suicide. Experts have adduced various reasons why people commit suicide. Many, especially young people, commit suicide when their relationships fail and they cannot manage the accompanying heartache; some commit suicide due to alcohol or drug abuse; some young people even commit suicide because they failed an exam! Young men and even adults have also been known to commit suicide due to low self-esteem. Some adults commit suicide due to loss of source of livelihood. Some men commit suicide when they find it hard to provide for their families. Some men also commit suicide due to impotency. Some people commit suicide to avoid facing the consequences of their actions. Now pre-teens, some as young as five years, are committing suicide in the United States. Parents and experts are at a loss what are responsible for this dangerous trend. As they take a closer look, patterns are beginning to emerge. They identified attention deficit hyperactivity disorder, which can make impulsive children even more impulsive;arguments or disagreements with family members and friends; bullying and influence of social media. But unlike adults, depression did not seem to be a major reason why these pre-teens commit suicide. We cannot dismiss this trend as a foreign problem. We have had records of pre-teens who committed suicide in Nigeria, so parents had better start paying more attention to their children. Beyond that, many of the people used by Boko Haram for suicide bombings are preteens! Unlike preteens, many adults commit suicide due to depression. This scares me because depression is a silent killer, akin to high blood pressure. Spouses live with their other halves suffering from depression without knowing. Friends hang out without knowing their buddy is sliding mentally. The state of the Nigerian economy over time has not helped matters. What the economics indices and statistics experts reel out does not correlate with the real economies of many Nigerians. A man has no job, his take home pay does not take him anywhere near home; he cannot pay his rent or he cannot pay children’s school fees. These are the issues confronting the average Nigerian, not figures of gross domestic product, direct foreign investment, growth rate, etc. As long as improvements in these indices do not lead to better life for the average Nigerian, they mean nothing. The economic situation in Nigeria is a major reason for depression and suicide among adults. Recently, Nigerian celebrities have joined the league of celebrities worldwide suffering from depression and contemplating suicide. We can dismiss the trend and say they are also human after all. Yes, but I tend to agree with Afro-pop singer, Kelly Handsome, that many of them suffer from depression because of the fake lives they live. A celebrity who does not keep it real will likely live a dysfunctional life. No need trying to keep up with the Kardashians, sorry, Joneses. Everybody has his race track in life. Just find yours and run your race very well. Celebrity or not, you are human. Stop trying to live as if you are superhuman or a god. The list of celebrities who committed suicide abroad is long and scary. Before aping foreign celebrities, Nigerian celebrities should just remember that those climes are different, so are the values. They should seek help and drag themselves from the precipice before they tip over. For the rest of humankind, remember that like in sports, form is temporary. What is important is class, which is permanent. Pull yourself together, find and live that life which you are destined for, your class will evolve. Also remember that you are not alone. The fact that other people are not putting their problems on their foreheads like a signboard does not mean they do not have challenges. Majority of Nigerians are going through economic hardship. It has been so for some time. But this hardship too will pass away. Nothing lasts forever. If you are going through depression or suicidal tendencies are manifesting, talk to a close friend or family. They say a problem shared is half solved. Beyond that get professional help. There is nothing to be ashamed of. 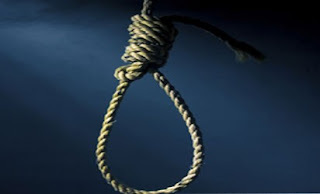 What is actually shameful in many cultures in Nigeria is a family member committing suicide. You would think that you have solved the problem by killing yourself. But you leave a huge burden for those you left behind. In those days, such families would be stigmatized; nobody wanted to marry from or into such families. Recently, Prof Eghagha added me to a group: Help a Soul Alliance (HASA). HASA, is a response to the increased rate of suicide amongst Nigerians. HASA has set up an online community for anyone struggling with mental and/or emotional challenges, to come in so as to receive support and also to support others. HASA welcomes anyone who is currently struggling; anyone who once struggled; anyone who struggles intermittently and anyone who is interested in supporting members of this community. I am taking the liberty of bringing this group to the notice of more Nigerians. Many people are mentally ill without realizing it. Even if you are okay, a family member, a friend, a colleague in the office or a church member might be going through mental turbulence. Beyond talking to people close to you, people just need professional help to stave them away from suicide. That is what HASA is all about.